What is your little girl's favorite season? Is she a winter, a summer, or a spring girl? 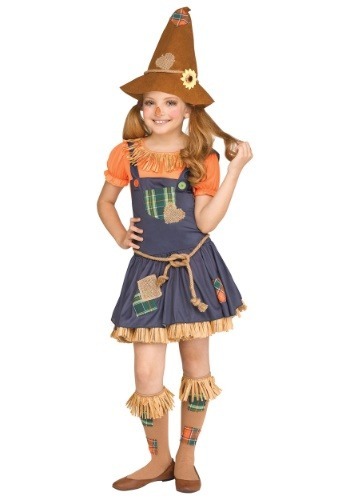 Well, if she's into the classic scarecrow character then she's probably an autumn kind of girl. We understand fans of the autumn season. The best weather of the year is out for an extremely limited amount of time. From September to October, the rays bounce off of shoulder height corn and provide us with clear blue skies and a little more vitamin D before winter hits. Basically, the sun is having its last hoorah before winter rolls around. Fall has the best activities from apple picking to bike riding to (most importantly, in our opinion) picking out those Halloween costumes! This year, your little one can show her love for the fall season at a harvest fest party when she puts on this adorable costume. Fall only lasts so long, so your little one might as well have a hay day! 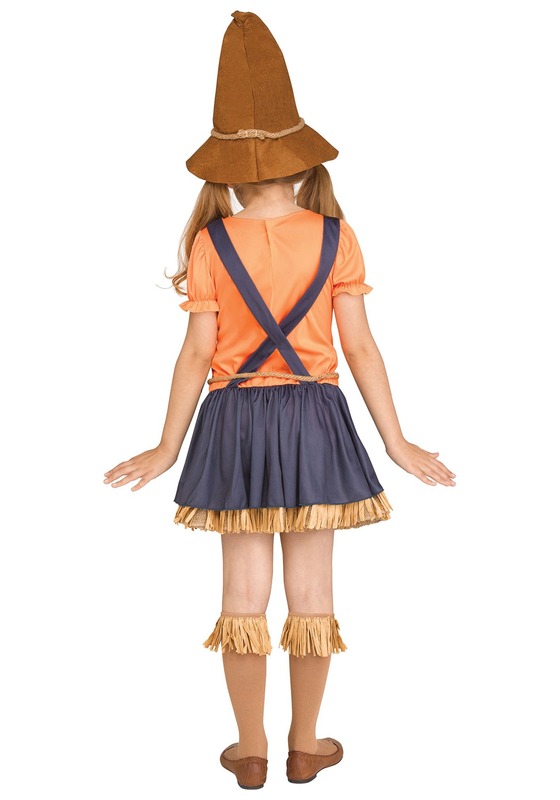 Your little one will be a classic autumn icon when she puts on this costume. The dress brings country overalls to mind with its pinafore top over orange puffed sleeves and has a flared skirt that's trimmed in straw with patches on the dark blue fabric to give your girl an Instagram worthy, shabby chic look. Top it all off with the adorable pointed hat and you'll have a photo shoot ready look on your hands. This scarecrow look will make your little girl's Halloween costume look timeless when you look back on this Halloween in years to come. You can easily make this a group costume when you pair this with a lion, tin man, and a Dorothy. Although, she'll want to work on her classic skip before the big trick-or-treating event. Fall only lasts so long, you've got to make hay while the sun shines!